Immediate access to permanent housing with no housing readiness requirements: Housing first provides people with assistance in finding and obtaining safe, secure and permanent housing as quickly as possible. Choice and self-determination: people have the right to choose their housing from within what is available in the community. Recovery orientation: housing first means more the just housing. it is focused on supporting recovery and individual well-being and ensures that people have access to a range of support. Individual Supports: Once housed, some people will need minimum support while other people will need support for the rest of their lives; however, access to housing is not conditional upon accepting a particular kind of service. Conventional approached to homelessness suggest that people need to address the issues that caused their homelessness before they can be housed: Addictions, mental illness, unemployment, poverty and other issues. Housing first approached recognize that being homeless causes extreme stress and makes all the other issues more complicated and difficult to address. Housing first programs finds people housing and supports them to meet the responsibilities of tenancy first. Once people have stable, safe housing they are much more able to address any other issues. Cooperation: Housing first approach depends on everyone working together to get people housed quickly and support them to stay housed. Landlords as partners: Finding affordable housing for low-income people is a challenge. We also know that sometimes the issues that contribute to someone’s homelessness mean they aren’t the best tenants. We need a variety of housing options and we are committed to working with landlords to help resold issues that arise and keep people housed by helping them become responsible tenants. Affordable housing: The cost of housing for people on low income to be a significant challenge. the they cant afford rent, no amount of support can keep someone housed. Community Support: This community has a big heart. We have some big challenges. A successful housing first approach can significantly reduce or even end homelessness, but we need champions that can advocate for a new approach. We offer support and rent supplements to people who are homeless. We work in partnership with other organizations and services to find housing, assist in the transition from homelessness to housing, and work to support each participant to set and achieve their goals with a focus on recovery and making healthy choices. The only criteria for the program is that the persons is homeless. we complete a vulnerability assessment that helps us understand each person’s history and challenges, as well as their strengths and needs for support. We do our best to match their needs to available housing. The time it takes to get someone housed varies, depending on their needs and the availability of suitable housing. Does Housing First Really Work? Research shows that the cost of services for a single chronically homeless individual as high as $75,000 to $134,000 per year. This includes emergency shelter beds, Medical services, the justice system, and emergency services. People whoa re homeless often struggle with a number of different issues such as addiction and mental illness and have higher rates of chronic illness and injuries due to their living conditions. Homelessness affects peoples ability to deal with their health needs, get enough nutrition, or access other support services,. in addition tot he financial costs to society the mortality rates for those who are chronically homeless isn’t much higher. How many homeless people are there in Williams lake? In the spring of 2017 a homeless count was conducted and found 48 homeless people, including singer men and women as well as families with young children (including an infant). The definition of homelessness sued for the count was anyone staying in an emergency shelter, or who did not have a secure housing (including those who were staying with someone else because they didn’t have housing)/ The process for counting was consistent with provincial standards. and was likely to be an underestimate as it is difficult to find everyone who is homeless on a single day. 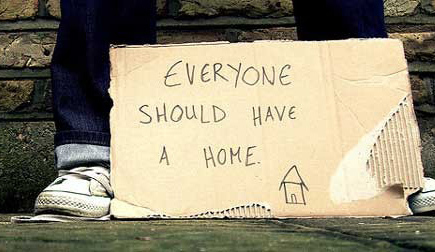 Many People are only homeless for a short one time before they find housing again. The homeless Outreach program provided services to over 450 people in the past year.